Thirty minutes in, Liverpool are dominating. So much so that, with a bit of luck, they could be 2-0 up. Real Madrid have met their match, and coach Jurgen Klopp’s run of finals defeats – five in a row dating back to the 2013 Champions League final with Dortmund – is set to be broken. But then, in the twist of an arm, it all changes. Away from the ball, Liverpool’s star man Mo Salah is on the turf, clutching his shoulder. It all seems innocuous, accidental even, until you realise the other man in the tackle was Madrid captain Sergio Ramos. And then you see the replay. It was a challenge that wouldn’t look out of place on a judo mat. Whether watching in slow motion or at speed, Ramos didn’t so much try to hold Salah’s arm as he attempted to wrench it from its socket using his full body weight. The Madrid captain knew that doing so would seriously help his side’s chances. And it worked. Salah, in tears, shuffled off the field. From that moment on Real Madrid had won. It didn’t really matter that Gareth Bale scored one of the best goals of all time or that the now former Liverpool keeper Lorius Karius gifted Real two goals after a sneaky Ramos elbow to the head – which was later ruled concussion, mind you. Real’s name was on that trophy the moment Salah hit the turf. As for Salah, he hasn’t been the same player since. You don’t need to know much about football to know the type of player Ramos is. Like Michael Ennis in rugby league or David Warner in cricket – or maybe Jason Akermanis in the AFL? I don’t watch enough of it to be sure, but his haircuts were offensive enough. The kind of player that, if he’s on your team, he’s your niggler. He’s bending the rules, but all in the name of cheeky gamesmanship, and he’s on your side. But if he’s not, then he’s a cynical player operating outside the spirit of the game. After the match, I saw red. I half typed up a story in my head, beer in hand, talking to myself through clenched teeth. I thought about what I’d say to Ramos if I saw him at the pub, wondering if I remembered any judo moves from that one class I took when I was eight. Then something odd happened. I walked around the pub – a small venue in rural Germany, not far from where I live. It’s a place that was very pro-Klopp and very pro-Liverpool, but there was no-one to share my rage. It was all in German, but the basic sentiment was ‘he knows how to get a sneaky one in when the ref isn’t looking. Good on him’. Frustrated, I went online to share my rage with others who had been wronged like me. I went to Liverpool fan forums. I went on Facebook. I splurted out incoherent messages in the WhatsApp group of my five-a-side indoor football team. No-one was there to share my ref rage. No-one. I even saw video of Klopp singing with Liverpool fans at Kiev airport at 5 o’clock in the morning. 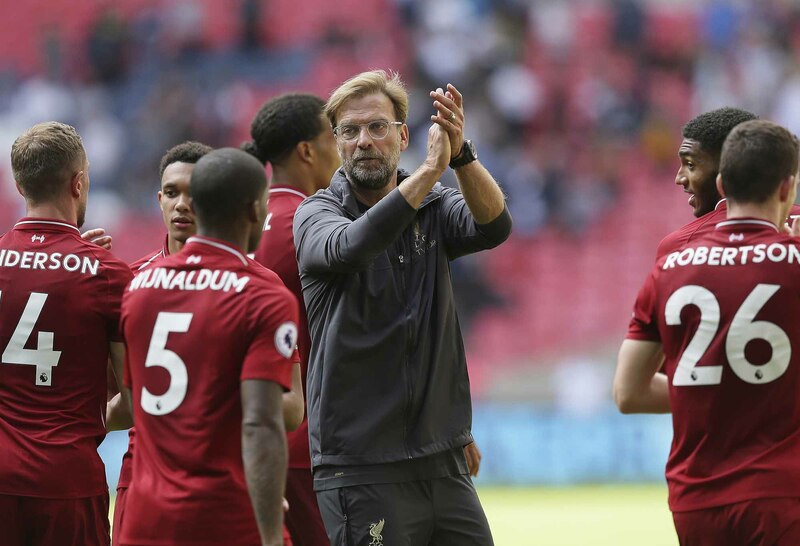 I watched interviews – teeth still clenched – to see at least five Liverpool players say “we were outplayed”. Now, pretty much exactly four months later – teeth still clenched, mind you – there’s another big match on the horizon. 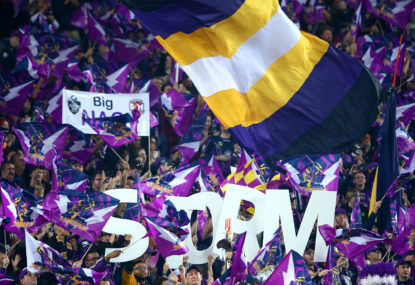 The Melbourne Storm are taking on the Sydney Roosters in the NRL grand final. While Sergio Ramos is not in the picture – and while I don’t have a dog in the race in this match as my Dragons are off somewhere running Ben Hunt through a 12-step Tony Robbins program – the week was marked by some noticeable similarities and some stark differences. 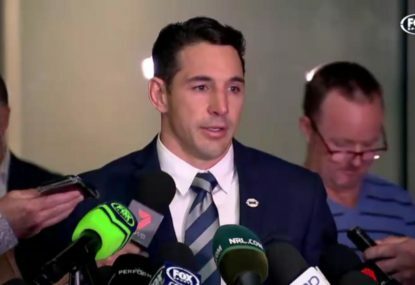 Billy Slater, perhaps not Melbourne’s most important player but probably their best, shoulder-charged the Sharks’ Sosaia Feki in the preliminary final. Slater was penalised after the incident, with the match review committee deciding it warranted a hearing. A few days and a couple of thousand articles later, Slater was cleared and all hell broke loose. Much like almost everything political these days, your view of the incident depended not on your view of the incident but on your view of those involved. 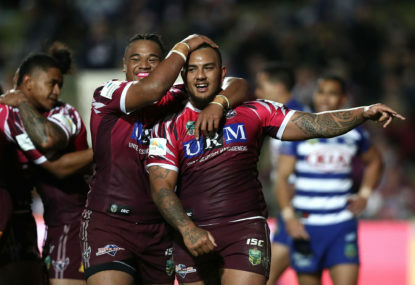 It didn’t help that Slater has a reputation for the odd dirty play or that his team have a reputation for the odd dirty systematic rort or grapple. 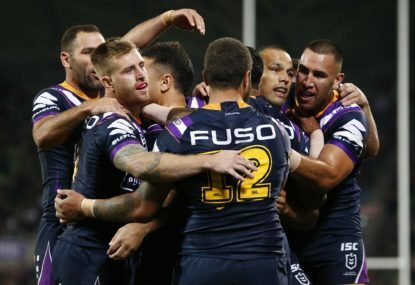 Your thoughts on the Storm or on Slater dictated how you felt about the tackle. Roosters fan? Shoulder charge. The worst I’ve seen. Lock him up. Storm fan? I’ve seen rougher hugs at my uncle’s place at Christmas time. Set him free. It’s not worth getting into the arguments here – Matt Cleary has done that already and he’s done it well. But it got me back to that evening in May. And Ramos. And Salah. And my pointless outrage mumbled in German and into the void. It’s worth remembering that all of this has gone on against the background of referees retiring due to fan abuse and the biggest newspaper in Australia’s biggest city waging an ongoing war on the men in the middle. Fans lack objectivity at the best of times – ever seen a post-match press conference? 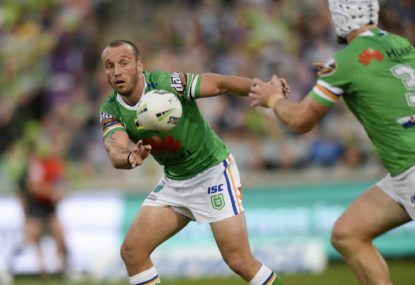 – but in Australia, and in the NRL in particular, we’re in danger of disappearing into a subjective rabbit hole so deep that it might take the game with it. Commentators, journalists, ex-players and fans spend more time slagging off referees, judiciary members and decision-makers than they do talking about the game we’re all supposed to love. Even worse, we’re missing the point. The game – any game – is never fair to everyone. As my high school manual arts teacher told me, fair is all fairy floss, Ferris wheels and fairy dust. As an aside, he later lost his thumb in a marine education class and said it wasn’t fair that nobody told him how to use the new outboard motors. So it goes. Playing in a grand final is the pinnacle of the game. Alright, Billy’s already played in six and won four, but just because you’ve worked hard enough to sit in first class doesn’t mean it won’t hurt when they show you past the hot towels and the metal cutlery all the way to the back of the plane. Rules are rules, but the judiciary panel are given discretion. They’re appointed because of their expertise and their experience and to make decisions on the basis of that expertise and that experience. That they take context into account is not sentimentality; it’s an understanding that the black letter of the law, when applied to the circumstances, sometimes leads to unfair outcomes. That’s why police, judges, bosses, girlfriends and anyone else applying rules to a set of circumstances are given discretion – it’s to take the circumstances into account. Which brings us back to Salah and Ramos. It might have been a red card, but it was probably a yellow. More importantly, if Salah gets up and scores a couple of goals, the incident is forgotten. 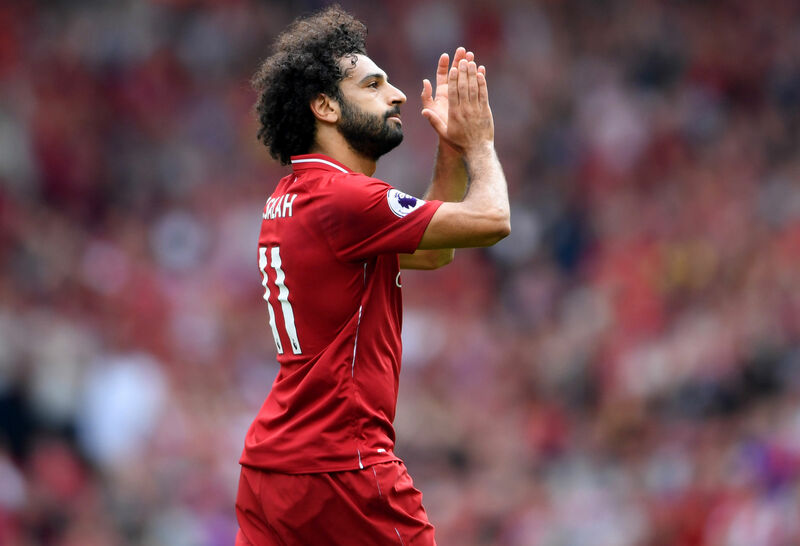 That the outcome was devastating to Salah and to Liverpool shouldn’t be, and isn’t, relevant. Real Madrid were the better team and deserved to win on the night. No subsequent citations – or sudden judo moves in Madrid nightclubs – are going to change that. 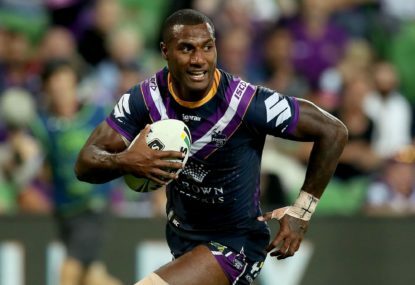 If Feki was taken from the field in a medicab, brace around his neck, we can all be 100 per cent sure that Billy Slater’s time in rugby league would be over. But he got up and played the rest of the match. Billy’s shoulder charge – and it was a shoulder charge by the black letter of the law – was not the type the law was put in to prevent. The judiciary panel knew that. It certainly isn’t the type that should see him miss a grand final. The judiciary members, using their discretion, knew that too. 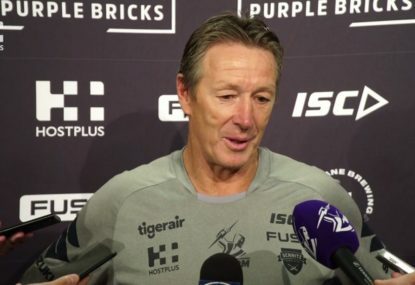 Melbourne coach Craig Bellamy says the five-day turnaround before taking on the Cowboys in Townsville will be a litmus test for his front-running NRL side.